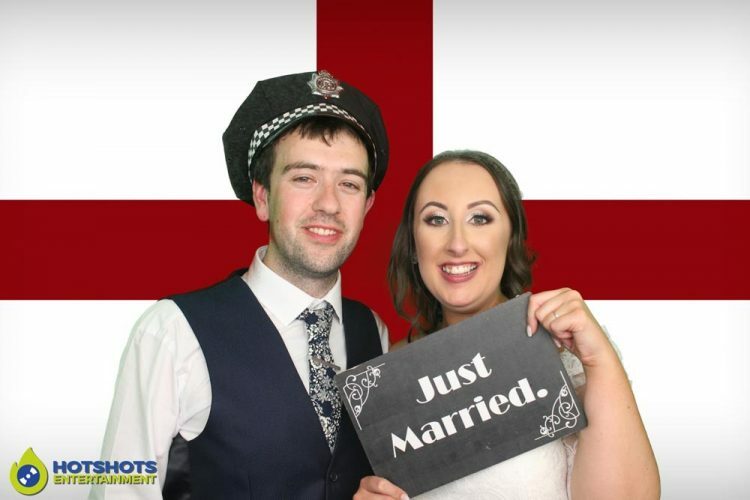 Congratulations to Mr & Mrs Jefferies who got married at the lovely the Barn at Berkeley on the 15th September 2017. 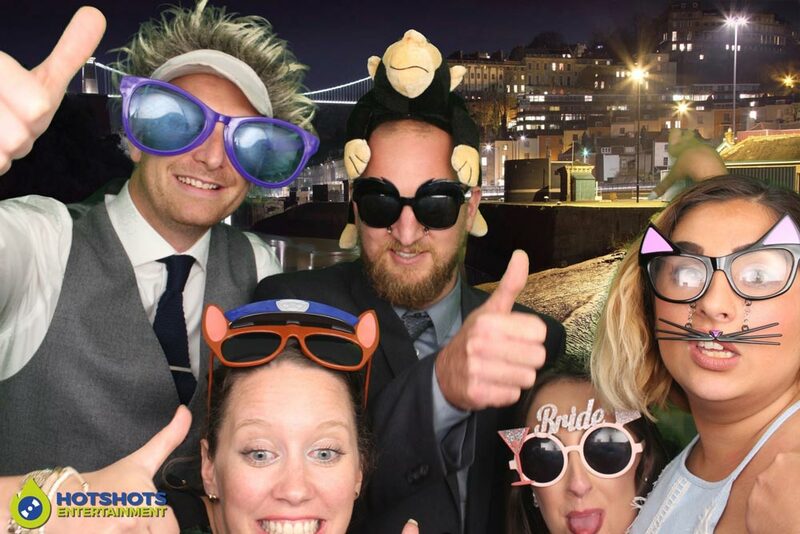 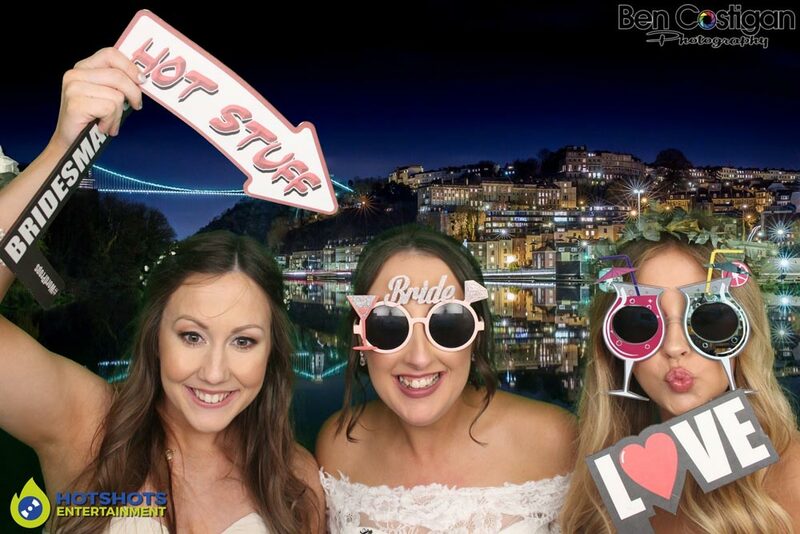 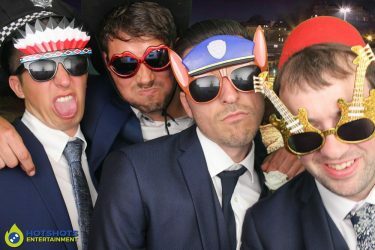 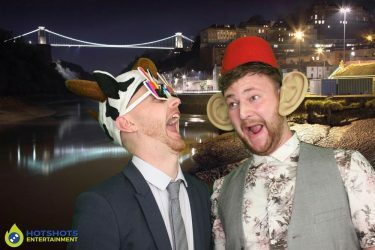 Hotshots Entertainment was booked to provide a photo booth for 2 hours & what great fun they all had. 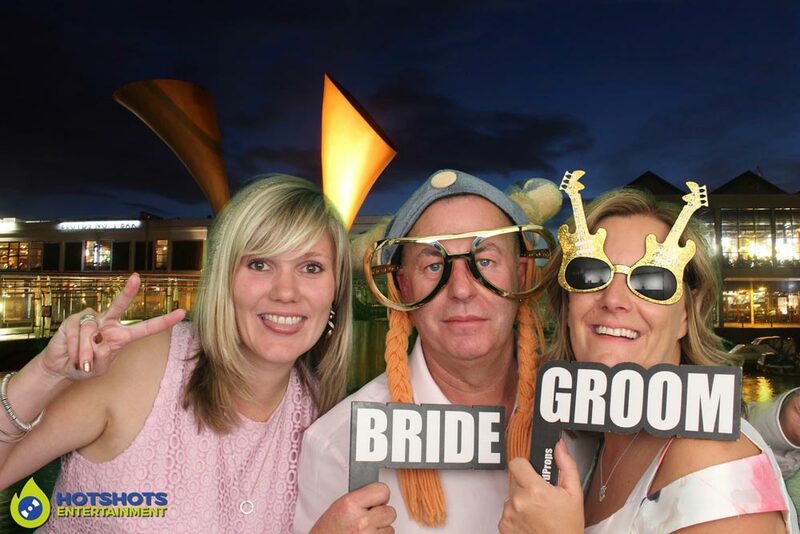 It was the first time being at the venue & I must say I like it a lot. 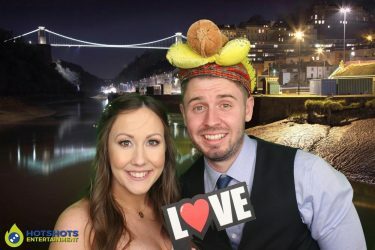 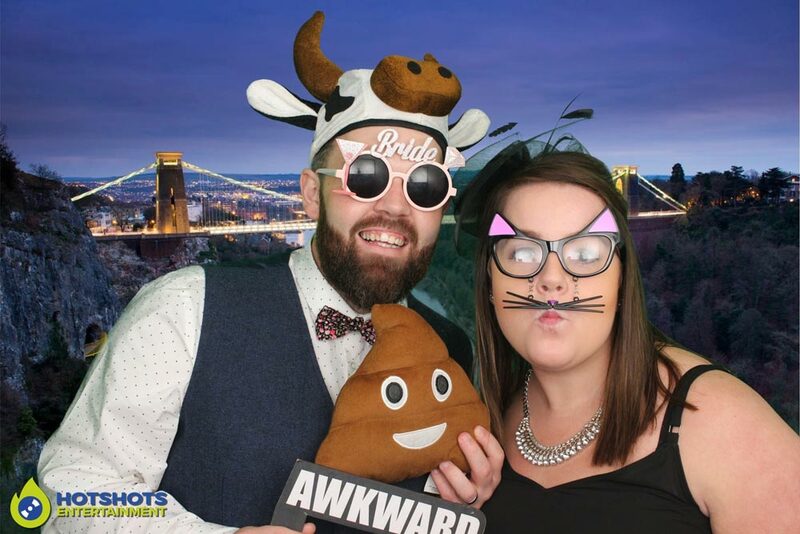 There were quite a few guests that went in the photo booth choosing different backgrounds for the green screen, mainly Bristol ones were there & a plain white background. It looked like everyone was having a great time on the dance floor & also in the photo booth. 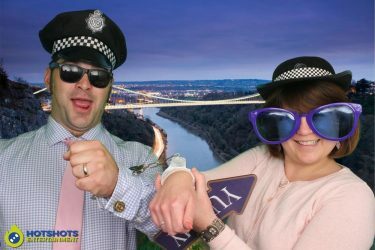 The evening buffet was fresh fish & chips on a mobile box trailer, it was very nice indeed. Everyone loved it. 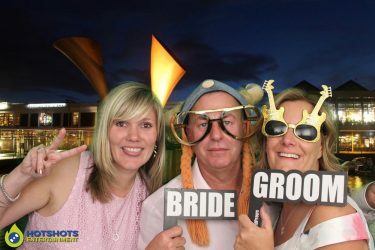 I even got dragged in a couple of times which was fun. 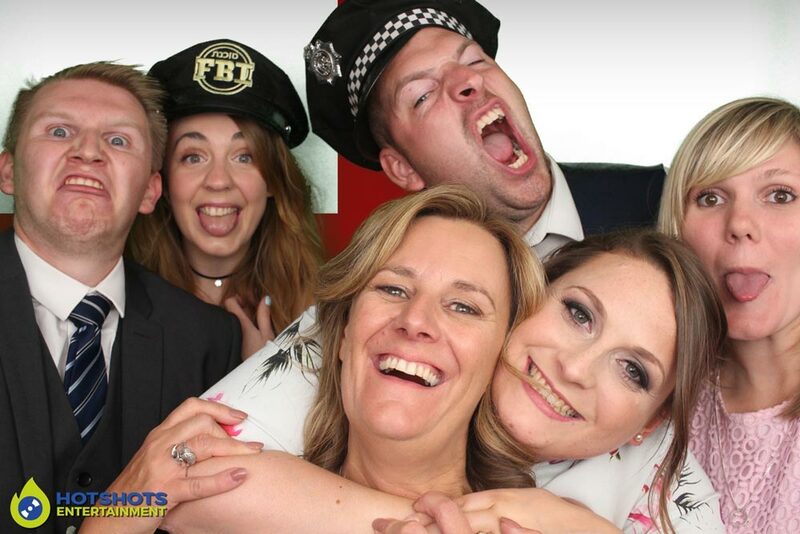 There are a few pictures below & the rest you can find HERE, please tag & share if you dare.